NHL returned this week as the Stanley Cup championship banner was raised at the Washington Capitals prior to the team’s game against the Boston Bruins to open the season. NBC Sports, the league’s network home, will carry a record 109 regular-season games in the 2018-19 season along with the Stanley Cup playoffs. 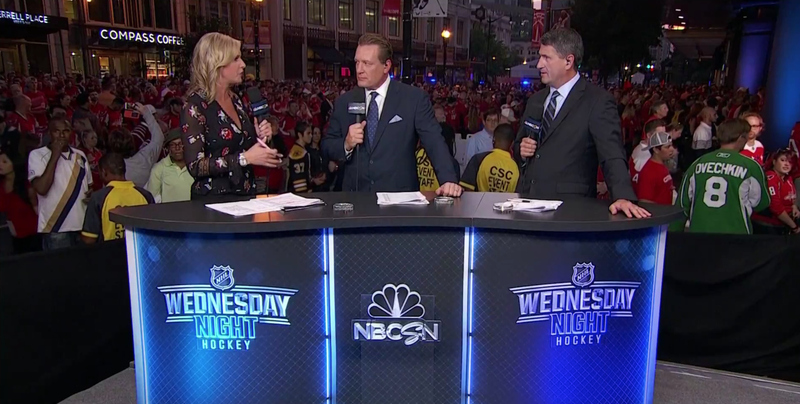 With the change, the network’s “NHL Live” team of Kathryn Tappen, Keith Jones, Jeremy Roenick and Bob McKenzie, will occasionally leave the NBC Sports studios in Stamford, Connecticut, to broadcast on-site, such as with the season’s first game in Washington, D.C. When the studio show hits the road, an at-home production model will be utilized to reduce the amount of gear and personnel needed on-site, notes SVG. 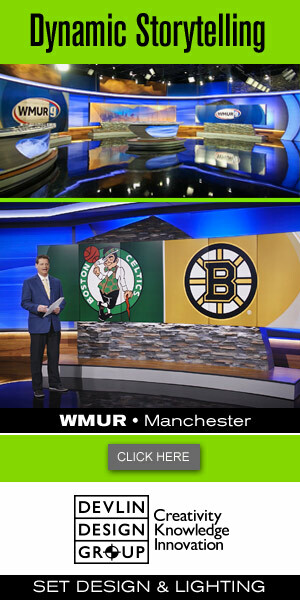 With a flypack at the arena, a control room in Stamford provides the bulk of production for “NHL Live” on-site, while a truck from NEP serves NBC’s main telecast. 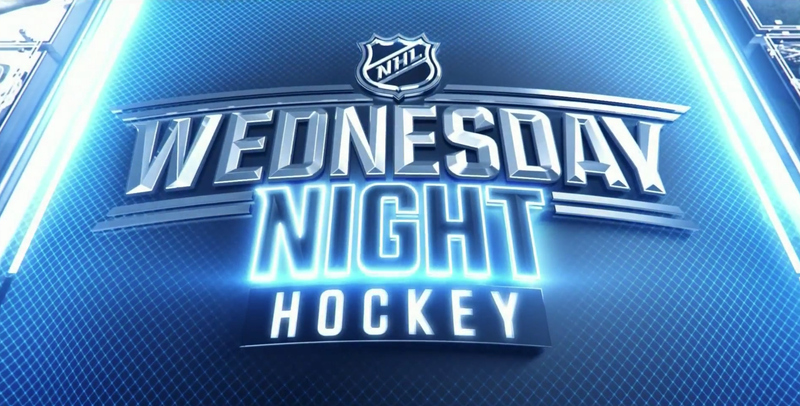 Graphically, “Wednesday Night Hockey” has a unique look from the former “Rivalry” broadcast. A new logo anchors the rebrand with curved, embossed lettering for “Wednesday,” while “Night” glows to reflect the primetime time slot. New theme music sets the broadcast apart from the network’s traditional weekend games, with a techno, dubstep vibe.